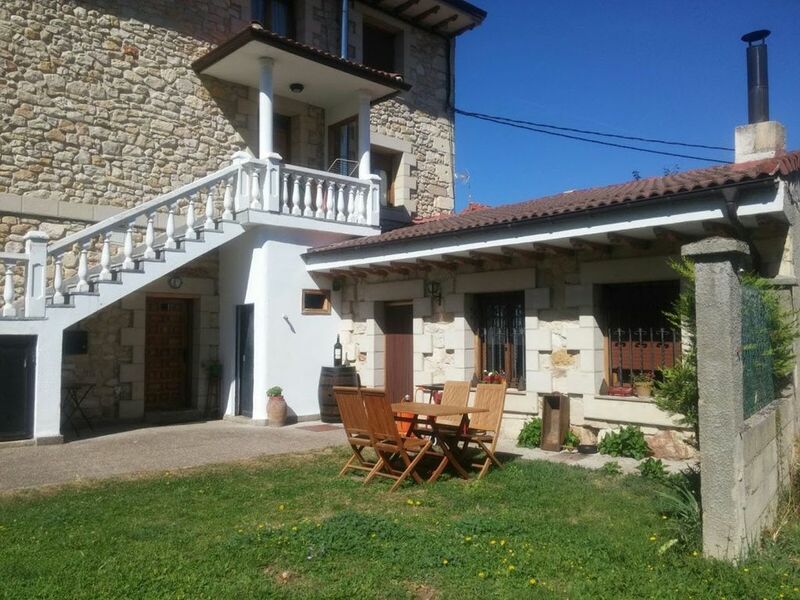 This house, located in Nofuentes, is ideal for 9 vacationers. It offers 4 bedrooms and WiFi. The lounge is perfect for unwinding after a day of exploration. Curl up on the comfortable sofa and enjoy a good book or take advantage of the amenities on offer, including WiFi, a CD player and a DVD player. The kitchen is well-equipped for cooking up your favorite meals. Enjoy your feast around the dining table which seats 9 enjoying views of the mountains. The house has 4 comfortable bedrooms, 2 including a double bed, 1 including 2 single beds and 1 including 3 single beds. Several bathrooms are available, one with a bathtub and a toilet and one with a shower and a toilet. The house features a desk, a washing machine, cleaning products, ironing equipment and central heating. Note that towels, bed linen and tourist tax are included in the rental fee. End cleaning has to be done by the guests or can be available with additional fees to be paid on site. Parking is available nearby. Smoking is allowed. Pets are allowed. Parties are not allowed. The owner lives near the property. This house enjoys a privileged location that will allow you to enjoy your stay in the area. Many activities await you in the surroundings, such as Caving, Horse riding, Cycling, Swimming, Mountain biking, Rock climbing, Skiing, Tennis, Fishing, Hunting, Mountaineering and Golfing. You will also find great bars and restaurants at 100 m and a supermarket within 5 km. Lunada slopes are 45 km away from the house. Villarcayo golf course is 20 km away from the house.